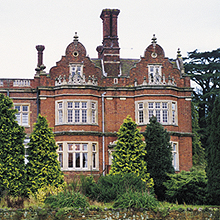 A Listed building in mature grounds occupied by the charity, MacIntyre, as a residential home (institutional use) all within the Green Belt. Very complex negotiations were required, conducted through Development, Land & Planning Consultants, to obtain planning consent for the conversion of the house and out-buildings plus 17 new build including 3 detached care houses for MacIntyre so that some of their residents could remain in the area. The whole project was fraught with difficulties. ORS sold the site by a two stage competitive tender, with eight unconditional bids received, to Bewick Homes who subsequently sold the conversion element to The Heritage Group.